A spokeswoman for the U.S. Army Corps of Engineers (USACE) told The Sarasota News Leader this week that the federal agency still is working on its response to the Florida Department of Environmental Protection’s second request for information (RAI2) about the proposal by the City of Sarasota and the USACE to renourish Lido Key Beach. Under FDEP guidelines, the USACE and the city have up to six months from the time the RAI2 was issued — Oct. 7, 2015 — to provide all the documentation the FDEP is seeking. In the meantime, Sarasota County staff is continuing to reach out to the City of Sarasota and FDEP to obtain comments on the peer review the county commissioned regarding the city and USACE plans to dredge Big Sarasota Pass to renourish Lido Key Beach, County Administrator Tom Harmer told the County Commission during its regular meeting on Jan. 12 in Venice. A Jan. 6 memo to the board from Tom Polk, director of the county’s Planning and Development Services office; and Matt Osterhoudt, senior manager in Planning and Development Services, said the responses are expected from the city “and/or FDEP” within about 30 days. After they are received, the memo continues, “staff will prepare another status update report for the Board,” and staff “will be moving forward” with scheduling a presentation to the commissioners. On Jan. 12, Harmer pointed out that the county has had numerous inquiries from the public about such a presentation since the peer review was completed in October. 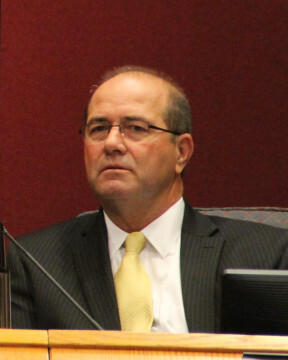 The county’s $49,620 contract with Atkins, which has a Sarasota office, provides for the team that undertook the peer review to offer comments to the County Commission during a board meeting. 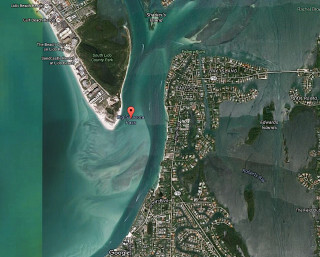 Karch provided a file showing data from the emergency nourishment of Lido Key Beach that the city undertook in 2015 to deal with severe erosion produced by Tropical Storm Debby in 2012. That material was collected between Jan. 17, 2015 and March 16, 2015, according to a document Karch submitted with his email. FDEP staff had made almost the same point in the RAI2, referencing the USACE response to RAI1, which FDEP issued on April 15, 2015. 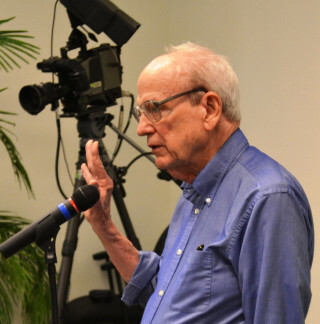 During the Jan. 5 meeting of the Siesta Key Village Association (SKVA), Peter van Roekens, a Siesta resident who represents the Terrace East condominium association at the merchants’ meetings, reported that Save Our Siesta Sand 2 (SOSS2) —which he serves as a board member — had sent its latest newsletter on the Lido Renourishment Project to city and county staff members. “There are questions that have not been answered or not answered satisfactorily” about the proposal, he said, though he did not offer any details about the questions. He did hear from a city staff member who promised to try to get the USACE to provide those answers, he added. 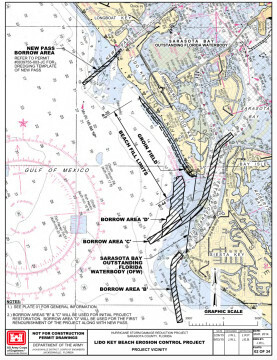 SOSS2 is among the Siesta organizations that have been seeking more detailed documentation of the city/USACE proposal in fighting the proposal to dredge Big Pass.